Item: CVA 677-802 - B. C. Spruce Mills, Lumberton, B. C. Tractor hauling two big loads. Statements of responsibility: Photographer location: Chase, B.C. 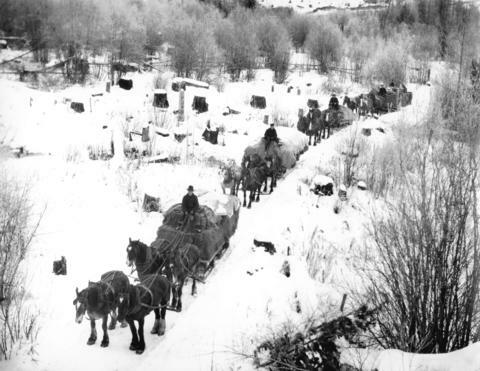 Photograph shows four sleighs being pulled through the snow by teams of four horses.